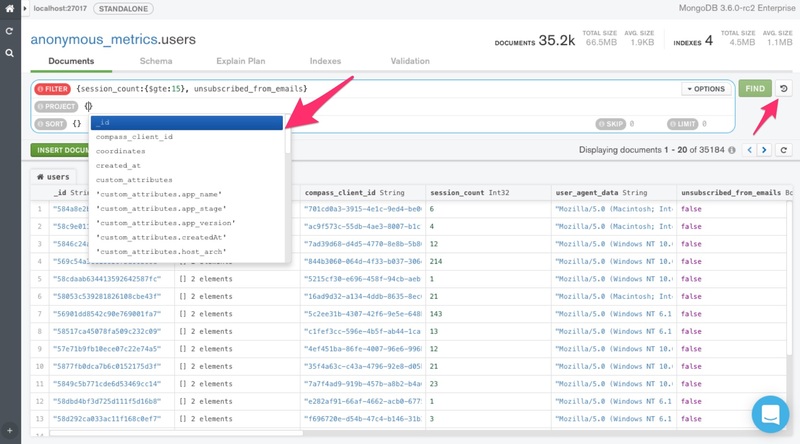 We’ve released several new versions of MongoDB Compass in the past few months, and we’re excited about the new features that we’ve introduced. Read on for details or download the latest version here. If you’re new to Compass, the best way to learn to use it is with the free online tutorial: M001: MongoDB Basics. In this series of online videos and hands-on exercises, you will use Compass to explore MongoDB data models, learn the MongoDB query language, and deploy and connect to MongoDB clusters in Atlas, MongoDB's fully managed cloud service. With the introduction of a new plugin API, MongoDB Compass is fully extensible. From examining database users and roles to generating sample data, from viewing GridFS files to checking sharding status – if there’s a specific feature you need that’s not yet available in Compass, you can build a plugin for it. And if you need it, it might be useful to others as well! Plugins can be shared with the community and added to any build of Compass 1.11 or later. You can learn more about creating plugins for Compass here or work through a tutorial to build an example plugin. Typing queries became quicker and easier with an intelligent autocomplete bar that matches brackets and completes field names for you. There’s also a new button for query history: use it to review queries you’ve run, run them again, or save common queries as favorites. 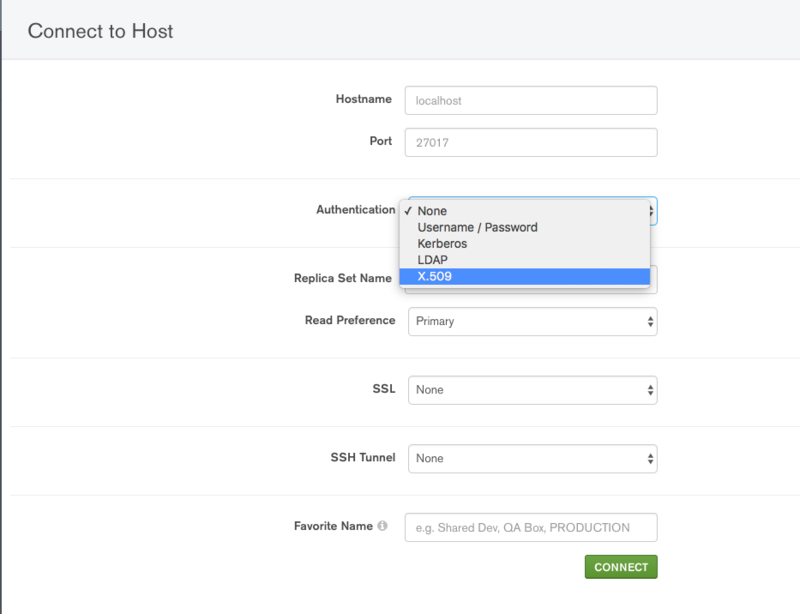 With the launch of MongoDB 3.6, we introduced a new distribution called Compass Community, which contains a subset of Compass functionality, but doesn’t require a paid subscription to use in production. 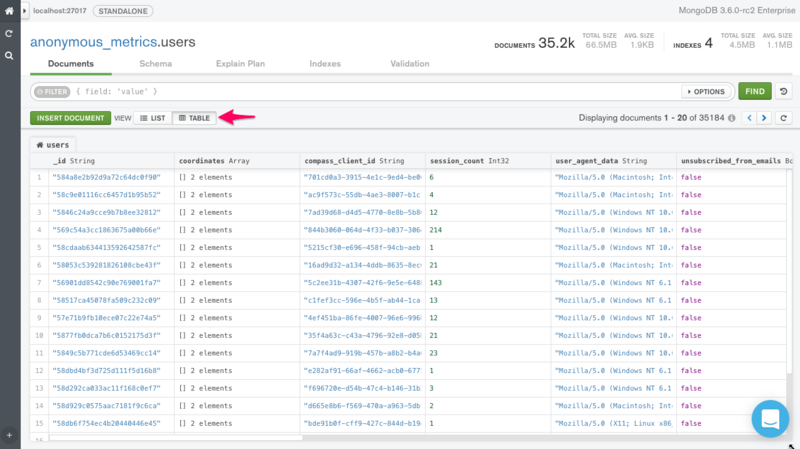 Compass Community has the core building blocks you need to get started with MongoDB: CRUD, indexes, explain plans, along with the new plug-in API. You can get Compass Community from the download center. It also comes as one of the components of the MongoDB Community Server download. If you want to view your data with Compass but don’t need to edit it (or allow other developers to edit it! ), you have a new option: a read-only build of Compass. No need to stress about unintended edits with this version, now available in the download center. We hope you enjoy this latest release!